Since December 2017, NZHA breeders have been able to Single Nucleotide Polymorphism (SNP) DNA test animals by using either 10K SNP test at Genomnz or 50K SNP tests at Neogen (previously known as GeneSeek). The benefit of SNP testing over microsatellite testing is largely resulting in increased accuracy and genomic prediction. If you wish to read more about the benefits of genomic testing, click here. What Service Providers are available to NZHA Breeders? Choosing which test best suits your farming operations, dictates which service provider to choose and thus what form your sample needs to be. Step 2 – The Process - How do I take a sample and submit it? Step 3 – Results - receiving and interpretation the results. Parent verification records are checked by PBB staff and are loaded into the recording system (ILR2) once confirmed with breeder. PBB staff will email you a Parent Verification report. PBB will check the genetic conditions and email you a report that identifies each animal that was tested and their genetic conditions. PBB will also load these results into the recording system (ILR2). The genomic profiles are send to ABRI and will now be used together with your performance data to calculate your EBV’s. Results will need to be in before the 3rd of each month and the EBV results are expected to update on the 20th of that same month. Once your EBV’s are calculated, you can login to Internet Solutions where you can find more EBV reports for analysis. If sires or dams of the progeny have been SNP tested at Neogen, then sire or parent verification can be requested on the Neogen application form as part of the Hereford bundle and inclusive of the cost. In the circumstance where progeny has been tested by one service provider (eg Genomnz) and the parents by another eg Neogen, then services of TREE (Theta) and PBB need to be sourced at an additional charge. 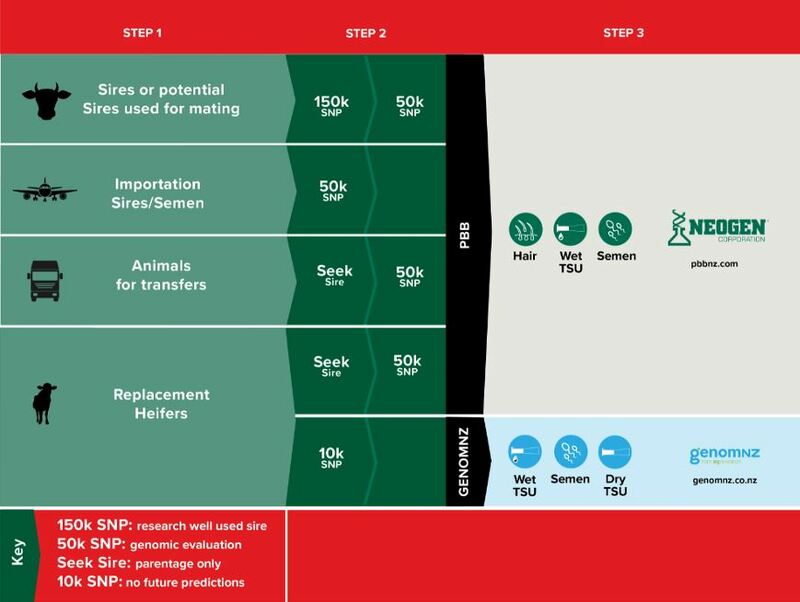 Single Step BREEDPLAN heralds a new age in genetic evaluation technology available to the beef cattle industry. This new genetic analysis combines pedigree, performance and genomic (DNA) information together in a complete multi-trait BREEDPLAN analysis of birth, growth, fertility, carcase and feed intake traits. Genomic information now contributes to the Estimated Breeding Values and accuracy calculations of genotyped animals and their relatives. What is Single Step BREEDPLAN? Single Step BREEDPLAN is genetic analysis software developed by the Animal Genetics and Breeding Unit, a joint venture of NSW Department of Primary Industries and the University of New England, which receives funding for this purpose from Meat and Livestock Australia Limited. The single step analysis utilises pedigree, performance and genomic information simultaneously. The analysis takes account of each animal’s actual genetic relationship based on its genotype with all other genotyped animals, including those in the reference population. The reference population is the set of Hereford animals within the Hereford BREEDPLAN analysis that have both genotypes (SNP data) and phenotypes (performance records) for a particular trait. "Single step doesn’t remove the need for ongoing collection of accurate phenotypes", said Dr Alex Ball, Strategic and Innovation Manager at Herefords Australia. "It is important that breeders embrace genotyping if they are going to extract any benefit from single step". Genomic information will contribute to all traits that have EBVs calculated within the main multi-trait BREEDPLAN analysis. Unknown parents may be identified (providing animals have genomic information available). Genomic information contributes not only to EBVs of genotyped animals but also contributes to EBVs of their relatives (eg parents, progeny). With a traditional pedigree based approach, the relationships between animals are determined by pedigree alone. For example, pedigree would predict that the genetic relationship between full siblings (ie animals with the same sire and dam) is 0.5. This means that full siblings are predicted to have 50% of genes in common. In Single Step BREEDPLAN, however, SNP genotypes are used to determine the actual degree of relationship between individuals. In the case of full siblings, this may now vary from 0.35 to 0.65 – rather than 0.5 as would be assumed in a traditional approach to genetic evaluation. This will allow for improved accuracy in the EBVs calculated. 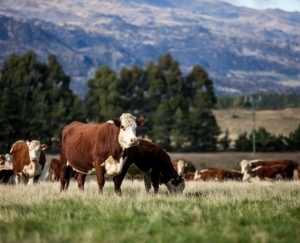 The Hereford breed in Australia, New Zealand and Namibia has become the first breed world-wide to implement a multi-country Single Step BREEDPLAN analysis. 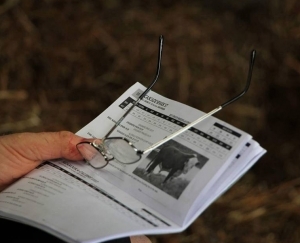 Genomic information as well as pedigree and performance data is now being used to calculate Hereford BREEDPLAN EBVs and accuracies.